An introduction to 3 women whose work supports me in living a happier, healthier, whole foods loving life. There are some amazing women in the online space that are improving the world by fearlessly rockin’ their craft. From food bloggers, to coaches, and everything in between. I’ve had the honor of developing virtual friendships with some of these women and continue to be inspired by their vision, cunning business sense and outrageous generosity. Janae, for her mind blowing Mommy powers, online business sense and insatiable calling to share her wisdom with the world in the most beautiful way possible. Earlier this year, I explained why I stopped being vegan. The lifestyle was no longer working for me, so I moved on to the next. Simple as that. Our bodies are constantly changing and; the way I see it, is that it’s our responsibility to go with the flow, transitioning this way and that as we need to. The problem? Many of us get stuck because we simply do not know what’s out there and feel like we don’t have the support we need to move forward. It’s true, vegan + Leanne don’t mix anymore. But vegan + YOU may. My dear friend, Janae from Bring Joy (whose been vegan for over 8 years) wrote a 67-page ebook answering more than 65 vegan-related questions from animal rights, carbohydrate intake and managing family meals. 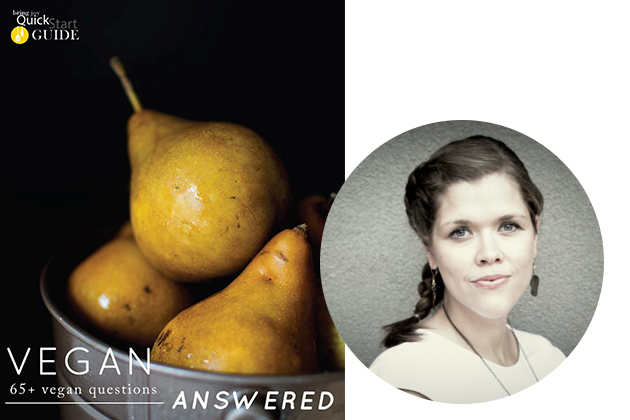 Get your copy of Vegan Answered here. What blows me away? Janae has been pregnant 5 times(!) in the last 10 years and has used her vegan lifestyle; combined with a step-by-step workout regime, to lose all the baby weight, and then some. It just goes to show that there are so many approaches to weight loss and healthy living. I shared my current weight loss strategy with you last week, but that’s not to say it will work for everyone. In her newest book, Fit Strong Lean, Janae shares her healthy living strategies from the view of a busy mom, as someone who spent six years in the fitness industry as a fitness professional, as a person interested in health & eating whole, plant foods, and, as a person who has lost a cumulative (nearly) 200 pounds in the last decade. Read more about her Fit Strong Lean Program here. Jennifer, for her drive to succeed. Even when she has no clue which way is up, she powers on with grace and ease, confident that everything will unfold in time. It’s true, going gluten-free CAN be ridiculously expensive. The breads, the mixes, it feels like everything is over $10 a serving. If you don’t know your options, eating gluten-free can become a financial burden. What starts out as a quest to get back to good healthy by going gluten-free can create a huge amount of grocery budget stress. In her newest book, The Savvy Gluten-free Shopper: How to Eat Healthy Without Breaking the Bank, Jennifer shows readers how to reduce their gluten-free grocery bill by up to 50% with over 138 pages of budget strategies, storage tips and steps on effortlessly preparing gluten-free food that the whole family will love. 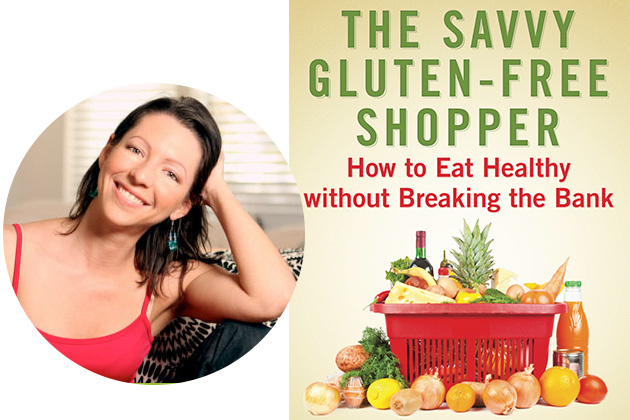 Read more (and grab your paperback copy) of this must-have gluten-free guide. Gena, for her generosity, kind heart and in reminding me that being “whole” begins with acceptance and a hunger to do good for ourselves, our families and our environment. You know that feeling that you get when you’ve enjoyed a full day of fresh eating? A beautifully vibrant smoothie for breakfast, a bursting salad for lunch, nuts and seeds for snack… you feel on top of the world! Whole foods yield power. But aside from eating salads, smoothies and vegetable sticks, eating fresh foods day and night can be a bit daunting. 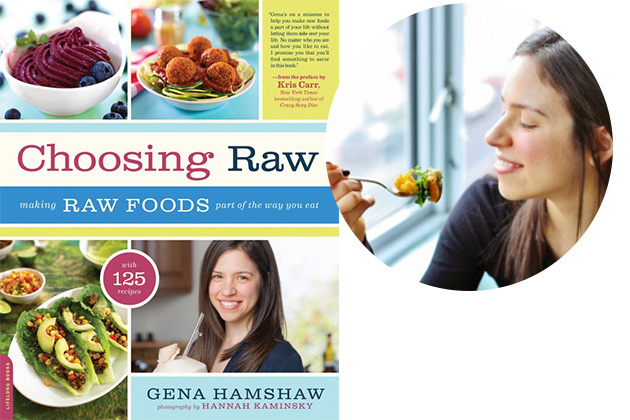 In her book, Choosing Raw: Making Raw Foods Part of the Way You Eat, Gena shares her approach to a plant-based lifestyle in a super accepting way. Everyone is welcome to the party. 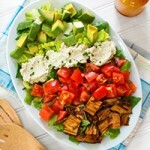 What I love about raw vegan recipes (especially the 100+ in Gena’s book) is that many of them are paleo/primal friendly. The recipes that caught my eye: hemp hummus, zucchini hummus, eggplant bacon, carrot falafel and key lime pie. All grain-free, dairy-free, fresh, gluten-free and corn-free. Get your paperback copy of Gena’s Cookbook here. Whose work inspires you to live a healthier, happier life? Lets share our resources in the comments below… your experiences and suggestions will benefit thousands of the women in the Healthful Pursuit community, all seeking the same thing – purpose, love and acceptance.